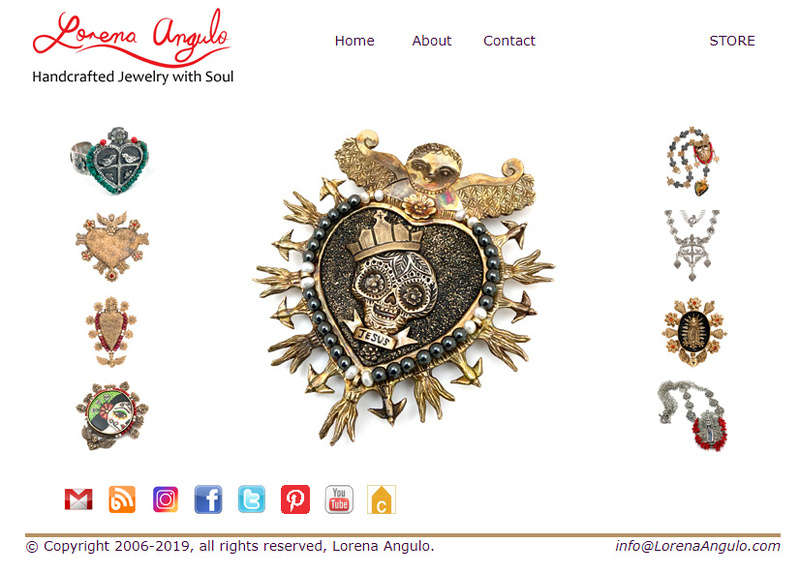 Lorena Angulo: Memories of the most difficult experience in our lives. Memories of the most difficult experience in our lives. A couple of weeks ago I was doing an intensive cleaning and reorganization of my home studio when I came upon a box with some items of my daughter Veronica's journey in the NICU when she was born. Looking at this items brought me so many memories about the hard times we had when Veronica was born three months early with only 1 lb 11 oz of weight. This hard times teach us so many things about life and since that day we see life in a different way. My daughter teach us big lessons during her journey in the hospital. I was hospitalized when I was 25 weeks pregnant because they notice I was 3 centimeters dilated and they told me I had to be in total bed rest, after a very difficult week in bed rest I had a terrible hemorrhage that put my life and my daughter's at risk so I had to have an emergency c-section. I will never forget the face of my husband when I saw him sitting in a little corner of the room while more than 8 doctors were running and screaming. 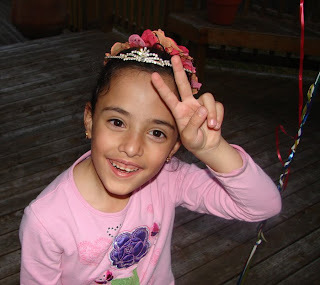 Veronica was born in March 30, 2002 in Trenton , New Jersey. I was not able to see her until three days later because I was recovering from my c-section. 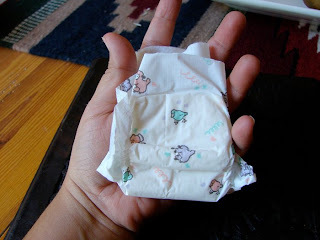 This was Veronica's first diaper, they were so big on her!! 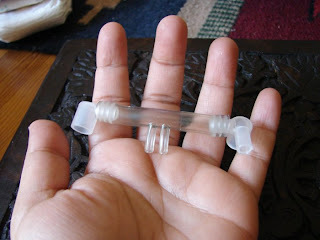 Veronica needed to have this tube in her nose for a long time, even though this tube was the smallest for preemies, it was still too big for Veronica. The nurses at the NICU were always so nice and supportive to all the parents. They always make little decorations to celebrate all the progress of the babies. As you can see in this pictures, Veronica had her first tiny bottle of milk in June and she finally weighted 4 POUNDS in May. 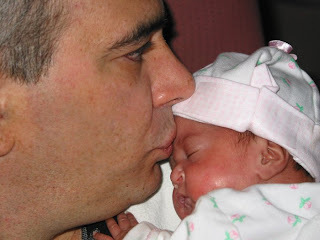 When Veronica was a month old I was able to hold her in my arms for the first time. I will never forget this moment, they let me have her for only 2o seconds. The most emotional 20 seconds of my life!! 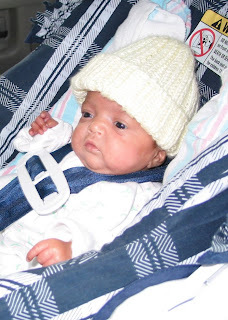 Veronica fought a lot of battles during her three months in the NICU, she got very sick but she always came back stronger. She never let it go, she was and still is a fighter. My husband, Jorge, was my biggest support and I will always be thankful of having him in my life. We both had our moments of weakness but we knew how to lift our spirits up and keep on going. Veronica was our best example of keep on going during bad times. This was my picture with Veronica on Mother's Day. She was getting better and better. 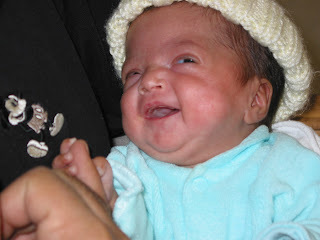 My beautiful son, Christian, was able to see his sister for the first time when she was almost two months old. I think Veronica knew she was coming home soon, she started to smile and was very active during the day. Finally Veronica came home in June 29, a day short of her being three months old. All the nurses were so happy and finally they let go and cried with us but this time it was of happiness. 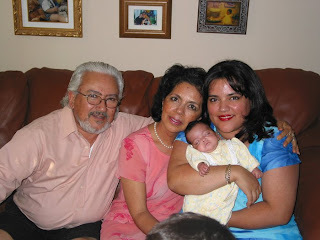 My parents were very important during all this time because they came to help me with my son since I was three months pregnant. They took care of him and they were a big support for my husband and me. Having them with me let me be with Veronica everyday of the three months she spend in the hospital. I love my parents !!! 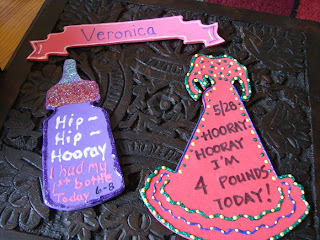 Veronica celebrated her 7th birthday this past March 30. She is a very happy, energetic and very PERSISTENT ;-} little girl that enjoys life to the fullest. What an incredibly difficult journey Lore! I'm so sorry that her arrival was so fraught with worry and stress. And I couldn't be more pleased to see what a lovely girl she has grown in to! Thanks for sharing this with the us. Lora: I am happy to share this experience, believe me, I think I need to do that, in a way it helps me to really heal my wounds. It was very difficult but we learned a lot from this, mostly to not worry anymore for things that are out of our control and to enjoy life the best we can. Oh that must have been so difficult! 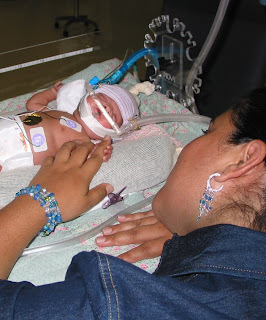 My son was born 3 weeks early, which doesn't compare to your daughter. 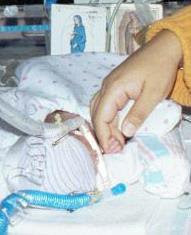 But I too remember those days when he was in the NICU and I had to go visit him. He was born with a defect in his ureter and had surgery at 13 months. It was a scary time. It's wonderful that everything turned out well. Your daughter is such a cutie! My son is now 12 years old. I am happy your son is well and healthy. 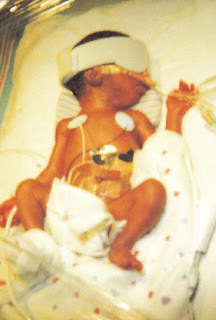 I think it does not matter how long they stay in the NICU, when is your kid in there it hurts the same. Thanks for sharing this with me ;-}. Lorena, casi lloro leyendo como nacio tu hija... gracias a Dios, ella es una nina completamente sana i linda. Los padres tenemos momentos de plena felicidad, pero tambien de tristeza... todos estos sentimientos forman nuestras vidas, nos hacen mas fuertes, maduros, nos ensenan que las cosas verdaderamente importantes en la vida no tienen precio. Asi es. 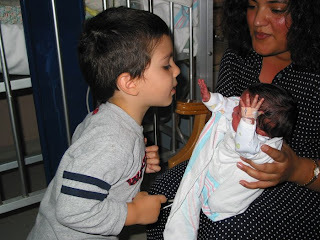 Como dices tu hay cosas mucho mas importantes en la vida y nosotros somos muy afortunados de tener a mis dos hijos sanos.